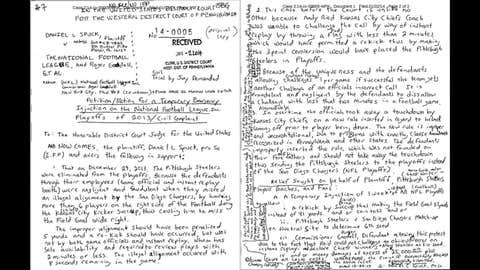 The disgruntled Steelers fan filed the injunction using inmate mail through the Pennsylvania corrections department. Surprising to no one, a delusional Steelers fan is trying to use the legal system to have the Chargers removed from the NFL Playoffs. You might recall the final seconds of overtime in Week 17’s Chiefs-Chargers game, when Kansas City kicker Ryan Succop missed a 41-yard field goal that would have sent the Steelers to the playoffs. To make matters worse, the Chargers should’ve been flagged for illegal alignment on the kick which would have given Succop another chance. But that didn’t happen. Browns fans rejoiced, while Steelers fans wallowed in sorrow as they watched their postseason dreams get flushed down the toilet. 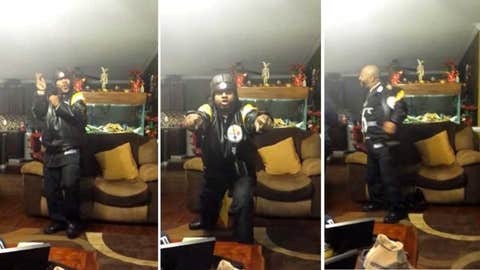 One Steelers fan took the loss particularly hard. The man claims the missed call was ‘unconstitutional’ and that the officials were ‘negligent’ and ‘fraudulent’. The delusional Pittsburgh fan came up with the brilliant idea from…. His prison cell. That’s right, the injunction was filed via inmate mail from the Pennsylvania corrections department. The jailbird did offer up some solutions to help solve the matter, suggesting that the NFL suspends the playoffs for a week to let Succop re-kick the field goal, or hold a play-in game between the Steelers and Chargers. On a neutral site, of course. The entire injunction can be read here.